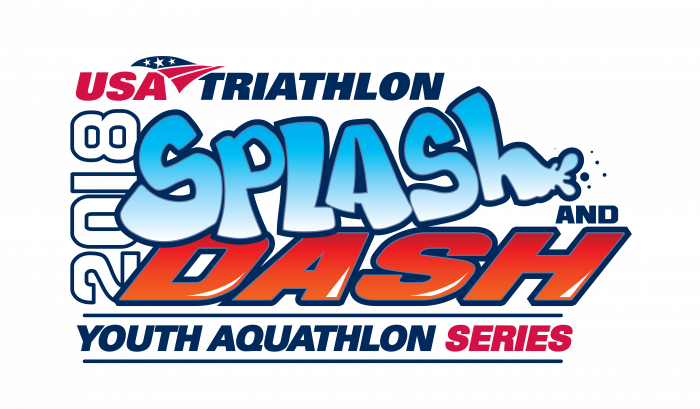 Calling the youth of Central Ohio to Alum Creek State Park on Saturday, June 9 for a fun and fast-growing sport that combines running and swimming - the Central Ohio Youth Splash & Dash. The swim will take place in the swim zone at Alum Creek (water depth 3-4 feet) and the run along the beach on the sidewalk running parallel to shoreline. The focus is on PARTICIPATION rather than competition. The event will expose youth participants to USA Triathlon and the exciting world of multisport! Participants will be timed but finishes are not awarded special recognition. All events within the series will be USA Triathlon sanctioned. Event is open to youth ages 7 - 15. Age is based on age of December 31, 2018. All participants must wear assigned number on the front of your shirt or shorts during the run. Your number must be visible to checkpoint recorders at all times. Youth participants will not be scored at the finish line unless their number is visible when cross the finish. Swim Caps colors and numbers will be assigned and must be worn. Must have the swim cap to start the swim. One adult parent is permitted in the transition area during set-up. Transition closes promptly at stated time. No entrance into transition will be permitted after stated time. Parents are not permitted in transition once event begins and can not assist the youth in any manner during the event, including handing them shoes or running along side with them during the run. From the Cleveland to host venue - Take Route 71 South Columbus to SR 36/37. Turn RIGHT toward Delaware. Take 36/37 toward Delaware - Stay in Left lane - Turn Left at South Old State Rd (There will be Alum Creek sign). Take Old State Rd approximately 5 miles to Lewis Center Rd (4 way stop) - Turn LEFT toward BEACH. Beach entrance is approximately 1 mile on the Left. From Toledo to host venue - Take S.R 23 South to Orange Rd- about 7 miles South of Delaware. Turn Left at Orange Rd. Take Orange Rd to Old State Rd - Turn LEFT. Take Old State Rd to Lewis Center Rd. Turn Right. Take Lewis Center Rd approximately 3 miles to BEACH entrance. Turn Left into Beach entrance. From Cincinnati to host venue - Take Route 71 North to SR 36/37. Turn LEFT toward Delaware. Take 36/37 toward Delaware - Stay in Left lane - Turn Left at South Old State Rd (There will be Alum Creek sign). Take Old State Rd approximately 5 miles to Lewis Center Rd (4 way stop) - Turn LEFT toward BEACH. Beach entrance is approximately 1 mile on the Left. From Dayton to host venue - Take I-70E toward Columbus to I-270 North via Exit 93B to Cleveland. Take I-270N to SR 23 North. Take SR 23 North about 5 miles to Orange Rd. Turn Right. Take Orange Rd to Old State Rd. Turn Left. Take Old State Rd to Lewis Center Rd. Turn RIGHT. Take Lewis Center Rd about 3 miles to Alum Creek State Park. Turn LEFT into Park. Visible lightning will cause the race to be postponed for a minimum of 30 minutes. Additional sightings will continue to delay the race in 15 minute increments.